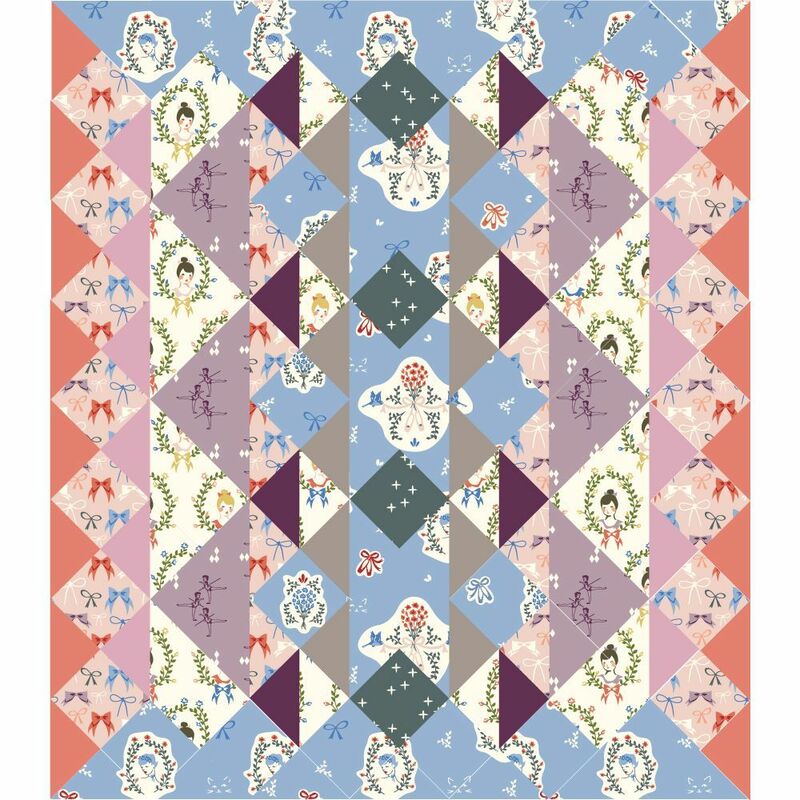 Learn to pirouette and practice your pointe in this lovely quilt featuring ballet inspired fabrics from Birch Fabric’s designer, Arleen Hillyer. The free Plie` quilt pattern comes with various size options, and how to add a border. It uses skills like making half square triangles, setting triangles, focal squares, and piecing together on the diagonal. Kit includes: All quilt top fabrics, binding fabric, and free printed pattern. ** Kit does not include any batting or backing fabrics. 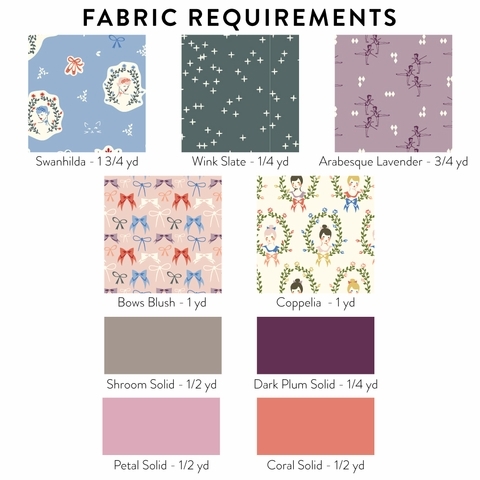 You will need either 2 1/4 yards of 108" wide width, or 5 yards of 44“ standard width fabric for backing. 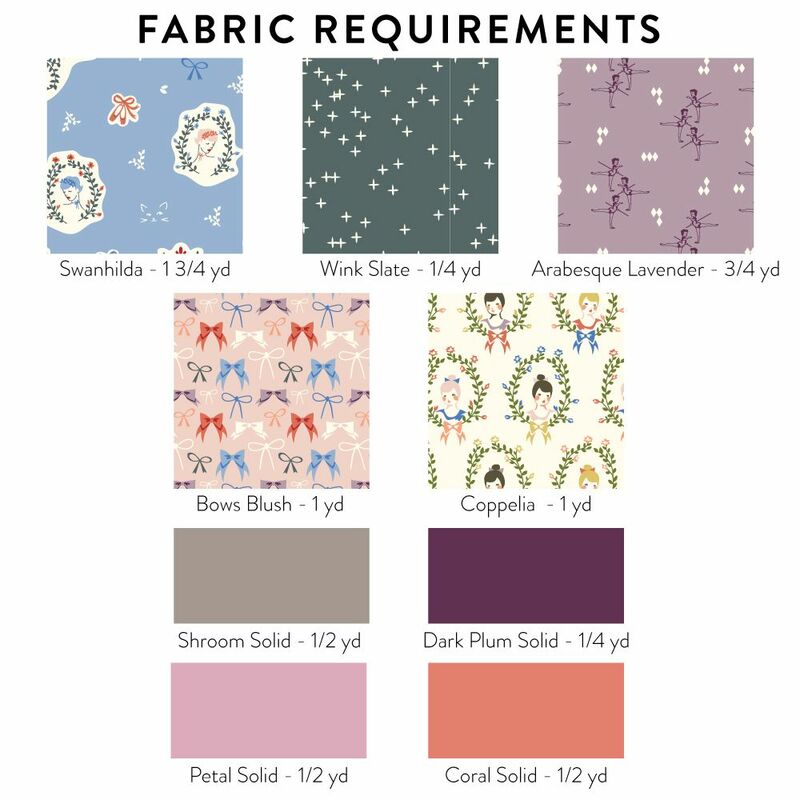 For more information regarding fabric requirements, please see the links below. 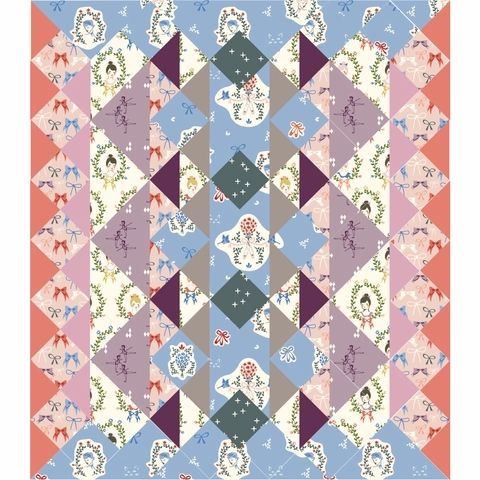 Click here to get the Free Plie` Quilt pattern by Brett Lewis & Arleen Hillyer!